After bouncing from the .7700 major psychological handle and a 38.2% Fib, AUD/USD looks set to reach its previous highs at .7850. Trend warriors could still get a decent reward-to-risk ratio if they place their stops below the MaPs and the 100 SMA support. Be careful in buying this one though, as stochastic is already near the overbought zone. In any case, make sure you have a detailed trading plan in place if you’re trading this one! Resistance alert! AUD/JPY is about to reach the 86.50 levels, which has served as a major area of interest for the pair since late last year. What makes this setup more interesting is that stochastic is also on the overbought region. 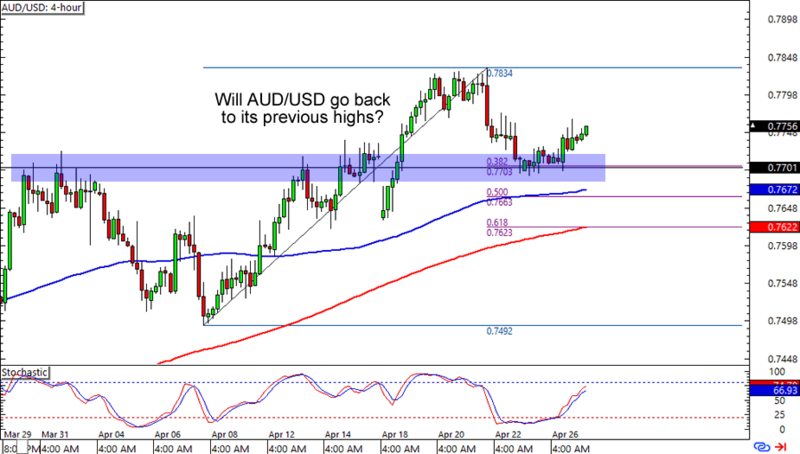 Think the yen is about to gain pips on the Aussie? 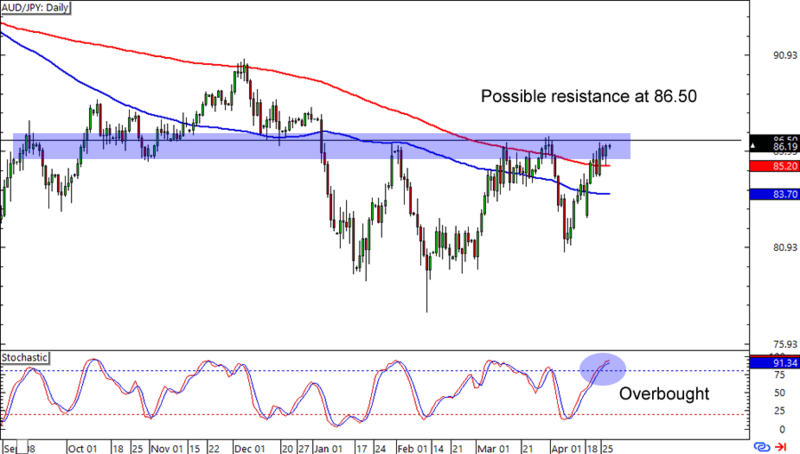 A short at 86.50 with stop losses above the resistance could make for a good trade if you believe that the resistance would hold. Of course, you could also wait for an upside breakout if you’re one of them Aussie bulls. Here’s another one for trend riders out there! 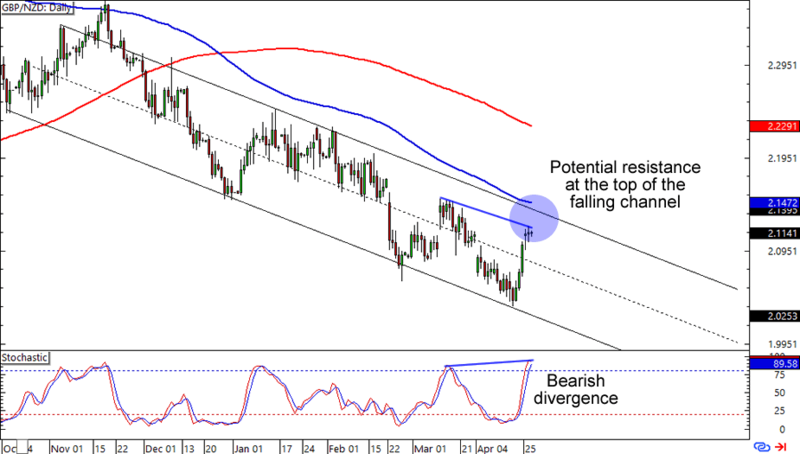 GBP/NZD is consolidating around the 2.1100 area, which is a few hundred pips away from the top of a falling channel that has been forming since October 2015. Right now the pair is also sporting a bearish divergence while stochastic is in the overbought area. A stop above the channel and 100 SMA could get you some pips if you think that the pound is about to lose pips on the Kiwi. Make sure you leave enough room for volatility though, as currency cross pairs like this one tend to be more volatile than the majors.